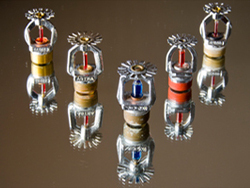 Novus Fire Protection Consulting Inc. specializes in the design of fire protection sprinkler and standpipe systems, a service we have been providing for over 30 years. Novus Engineering, forerunner of Novus Fire Protection Consulting Inc., was established in 1979 in response to a growing demand for a professional design team specializing in Fire Protection Engineering. A broad client base of developers, builders, project engineers, architects and contractors have benefitted from the problem solving design skills of our knowledgeable staff. Project involvement typically ranges from conceptual design and feasibility study to preparation of drawings, including CAD format, and specifications for construction through to construction review, quality control and contract administration. The NOVUS design team is committed to providing prompt, accurate and cost effective service and pledges to remain up-to-date with the current codes, standards, regulations and requirements of the provincial and local authorities. We are experienced in the design of fire protection systems for a wide range of projects listed on the attached sheet. If you are in need of our services, we would be pleased to meet with you for further discussion. Copyright © Novus Fire Protecting Consulting Inc.